Our fax line is open 24 hours a day. Please include your complete shipping address and daytime telephone number. Visa, Mastercard and Discover. No personal checks accepted. No open accounts. All orders are processed in USD. 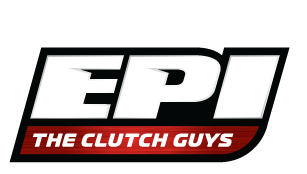 EPI will make every effort to have product in stock when you place your order and will provide same day processing and shipping for items in stock. EPI has selected UPS and USPS as our preferred carriers to offer a better experience to our customers. Refused packages that are sent back to EPI are subject to a 20% restocking fee plus freight charges. Orders placed after 12 PM for USPS and 3PM for UPS will be shipped the next business day. USPS: New Year's Day, Martin Luther King. Jr Birthday, Presidents Day, Memorial Day, Independence Day(4th of July), Labor Day, Columbus Day, Veteran's Day(observed), Thanksgiving Day, Christmas Day. UPS: New Year's Day, Memorial Day, Indepdence Day(4th of July), Labor Day, Thansgiving Day, Christmas Eve, Christmas Day, New Year's Eve. Our International Customers can now take advantage of our discounted brokerage program with UPS for orders less than $200 USD or a faster delivery time with brokerage included by using an Expedited service. International packages may incur duties or brokerage fees based on the tax law for your country. This is not an EPI fee. Placing an order confirms your understanding and willingness to comply with your country’s import tax rules. Customer Satisfaction is our #1 company goal. If you are not happy with our products, or you need to return a product, please let us know and we will make every reasonable effort to resolve the issue. See return policy below. Contact Customer Service at 218-829-6036. Please inspect your package immediately upon receipt. IN the rare event that your package is damaged in transit, indicate damage when you sign for the shipment. It is very important that you retain all packaging. Please contact EPI Customer Service immediately to report any damaged shipments. If an item is out of stock at the time you place your order we will contact you via phone or email to keep it on backorder and ship it to you as soon as it becomes available. All backordered items incur freight when they are shipped. If you do not wish us to backorder items for you, please let us know at the time you place your order. Prices shown are current as of the time of print and are subject to change without notice. We reserve the right to correct typographic, photographic and/or descriptive errors. To request a free catalog, click here. Online pricing for dealers is now available. 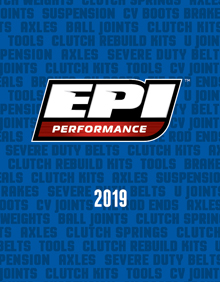 Applications are available by contacting EPI or visiting our Dealer Support page. We reserve the right to refuse dealer set up to any account not meeting dealer requirements. All returns must receive authorization within 30 days of invoice date. Any items returned past 30 days are subject to a 10% restocking fee. All returns are subject to inspection. Returned merchandise must be unused and in resaleable condition. Returned items needing to be repackaged are subject to a 10% repackaging fee. Unauthorized returns are subject to a 20% restocking fee. ALL RETURNS MUST BE PRE-APPROVED WITH AN RA NUMBER DISPLAYED ON THE BOX. PRODUCT MUST BE RECEIVED WITHIN 15 DAYS OF DATE RETURN AUTHORIZATION ISSUED. ATV's / UTV's can be dangerous. EPI has no control over the use of any part. EPI expects the customer to exercise good judgement as to the proper selection, installation, use and maintenance of any part. EPI assumes no responsibility for damage or injury of any kind because of misuse, improper installation and improper application of any parts in any way by any person. Your payment and personal information is always safe. Our Secure Sockets Layer (SSL) software is the industry standard and among the best software available today for secure commerce transactions. 256-bit encryption encrypts all of your personal information, including credit card number, name, and address, so that it cannot be read over the internet.